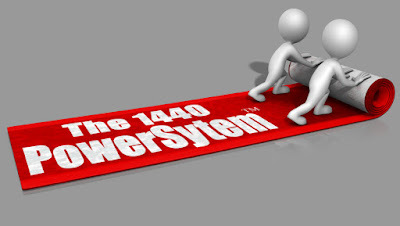 The 1440 Power System® is the connector to 1440TIME™. 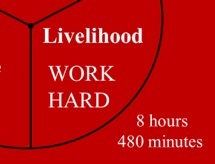 It breaks down the 1,440 minutes we have in a day and chunks them into three defined zones of our daily life cycle. Now by conditioning and repetition, in just a short time, providence takes over! Life now becomes clear and simpler... your destiny is now in your hands and sky's the limit!!! It's the Minutes, not the hours that brings The 1440 Power System® to life! 1. Sleep is for resting and repairing the mind and body. means of securing the necessities of life, one's existence, especially financially. It is how you support yourself and family. When you play, play hard, when you work, don't play at all. 3. 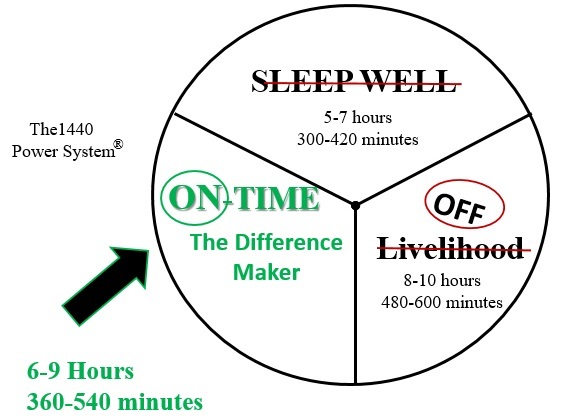 ON-TIME is the Difference Maker. Why is that? Because it is the only time-zone of the day that you own! 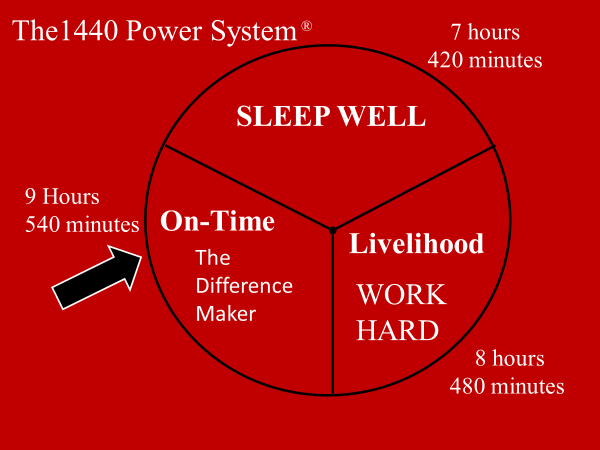 Sleep is for sleeping and work-time is not your time! It is the company's time! If you are self-employed or your livelihood is your company, and is what you love to do, you have managed to combined two zones into one! A very powerful combination, and a key for success, happiness, and wealth! 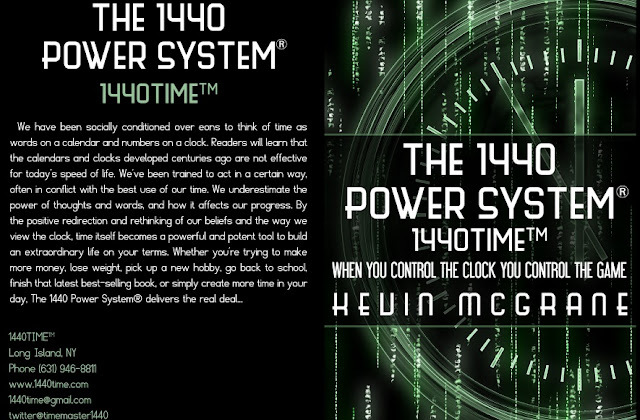 Look at 1440TIME™ above? Those are the minutes you have left today? What zone are you in? What ever zone it is... simply own it, and enjoy the 1440Experience!